Khanyty-Mansiysk. La cuarta y última etapa del Grand Prix de la FIDE terminó con victoria compartida entre Caruana, Nakamura y Jakovenko. Ese fue también el orden en la clasificación general. El vencedor en los desempates fue Dmitry Jakovenko. El ruso ha analizado para nosotros su partida contra Giri. Mihail Marin ha preparado un informe detallado sobre las aperturas empleadas. Además, también puede encontrar en el DVD siete vídeos con los resúmenes diarios de Daniel King. Norway Chess. 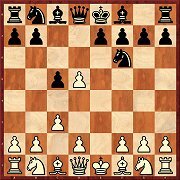 Es torneo de este año fue incluso más fuerte que el anterior, ya que se jugó en el circuito del Grand Chess Tour. Magnus Carlsen tuvo un comienzo desastroso (medio punto en cuatro rondas) ¡Y el campeón mundial terminó 8º en el torneo de su patria! Veselin Topalov aprovechó su oportunidad y relegó a Anand y Nakamura a la segunda plaza. 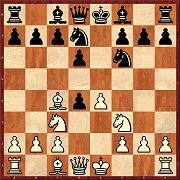 El norteamericano ha comentado para nosotros su partida contra Aronian. Además en el DVD se incluyen 9 vídeos con los resúmenes diarios de Daniel King. 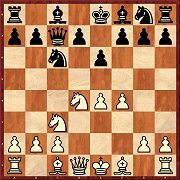 According to Igor Stohl here is a trend here away from 4.e5 towards the intermediate exchange on d5. 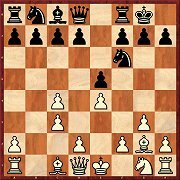 With precise play – starting with 5...Ne4 – Black can probably maintain equality, but it is not sufficient to act intuitively at the board, some knowledge is required. Taking towards the centre on move 6 is probably preferable. 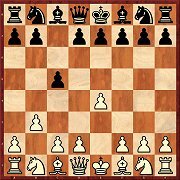 Nevertheless White will not achieve an opening advantage. 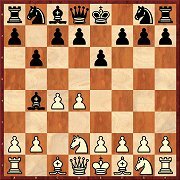 According to Robert Ris Black should start with 6...c6, then the most frequently played move is 7.Ne2 though 7.d4 and 7.Qb3 are probably more critical. 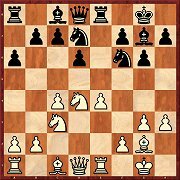 Even after 3.Nd2 Mihail Marin follows an original path – first 3...b6, then generally ...f5 and ...Nf6. White can secure the bishop pair with 4.a3, but that does not necessarily lead to an advantage. Here there is an unusual structure on the board straight away and the usual plans cannot be employed. Boris Schipkov recommends in most lines a rapid h4 and g4; then White should get an advantage. Max Illingworth champions 2.b3 above all as a rapid chess repertoire. But it can be more than that as is shown by Tamaz Gelashvili, who in his 117 games in Mega has a score of 82%. But this does not mean that White gets an advantage with 2.b3. The unusual move presented by Emanuel Berg, 3...Nf6, sometimes leads to really sharp positions, above all when White wants to hang on to his extra pawn. But if he does not do so, then, according to the analyses of the Swedish grandmaster, Black should easily equalise. Michal Krasenkow presents his own repertoire (3...e6) against the Rossolimo Variation. 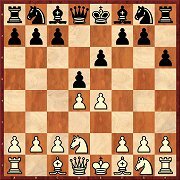 In part 1 he deals with all the variations except 4.0-0; the focus is on 4.Bxc6 bxc6. The Polish grandmaster sees no problems for Black. 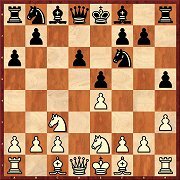 The move 6.f4 is an interesting attempt to avoid the much analysed lines after 6.Be3. 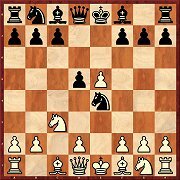 Daniel Gormally presents a series of model games, the study of which should improve your understanding of the different types of position. Evgeny Postny bases his article above all on recent games from elite tournaments. 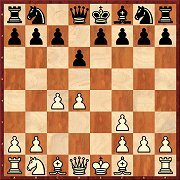 His analyses see equality for Black, but in many lines after 6.h3 there are still blank spots in the analysis and surprises are possible. According to Gergö Havasi Black would like to use this move of the rook pawn to transpose to variations in which ...h6 is useful and in which White has adopted an unfortunate setup. For example he may have played Ngf3, but Ne2 would suit better. Since after 5...Be7 White can immediately play 6.a4! (6.0-0 Nb6!? ), Georgios Souleidis suggests 5...exd4. 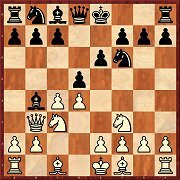 After 6.Nxd4 Nb6 would have achieved his aim, but 6.Qxd4 is better. Nevertheless the analyses show that Black’s plan is well suited to use as a surprise. The best surprise weapons are those in which the opponent can only equalise with precise play. As Alexey Kuzmin shows in his article on 5.Qb3, Black really has to know what he is doing here, because he can then easily hold the balance. For some time there has been hope for White in the main variation: 14.Ne2!? is according to the statistics clearly more successful than the alternatives, though this is still based on a very small number of games. Lars Schandorff, howver, presents two strong replies for Black. 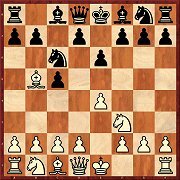 The Gallagher Variation (10...a6) is designed to be active rapidly (...c5 and ...b5). 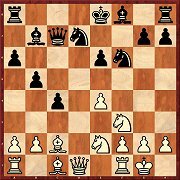 In the first part of his contribution Krisztian Szabo presents 11.Re1, but his analyses show that the rook move does not bring an advantage for the White side.